Looking to lower the rear of your Honda GROM a bit to go with the lower front end? Want to lower it without NEEDING* to install a stretch? Here you go! Kit requires no drilling, and can be installed easily with the bike properly supported (because you have to remove the rear shock). You do not need to remove the chain/wheel/etc to install! 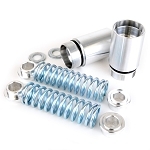 The ComposiMo Billet Rear Lowering Link kit allows you to lower the back of your GROM up to 2.5"**! The stock rear 'hugger' fender can still be used, but will require trimming to fit around the rear shock! BE SURE TO READ BELOW TO MAKE SURE THIS WILL FIT YOUR BIKE IF YOU ARE NOT USING A STRETCH!!! 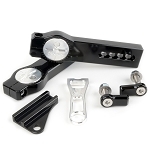 *PLEASE READ: If your axle adjustment is currently in the middle of the adjustment range, or further back, then this kit will fit your bike. However if your sprocket/chain combo is such that your axle is in the forward-range of the adjustment area, the tire may be too close to the shock mount to fit without a stretch installed! 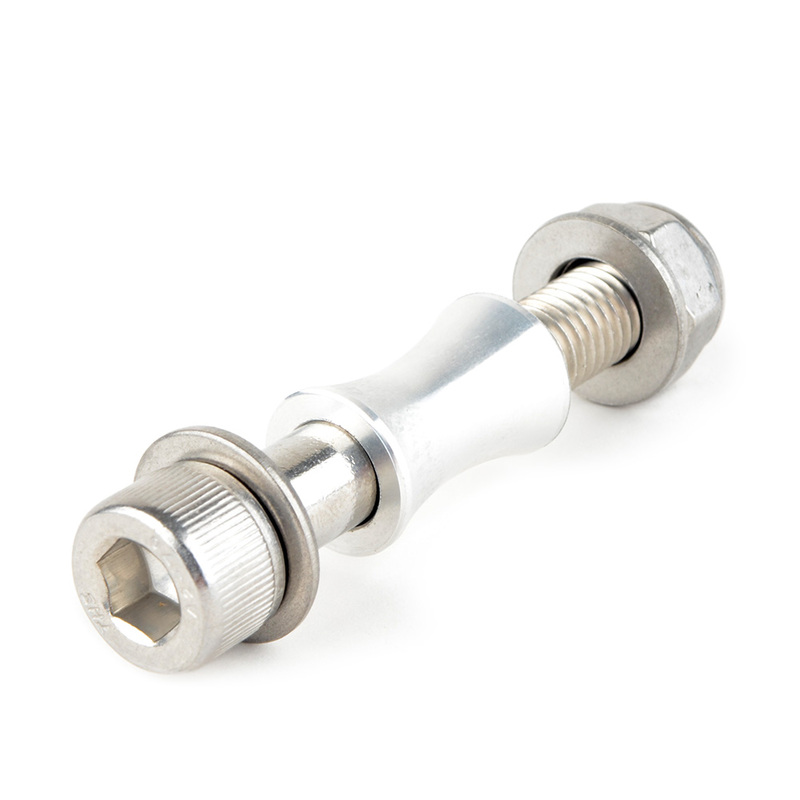 Be sure to verify your axle adjustment range before purchasing. 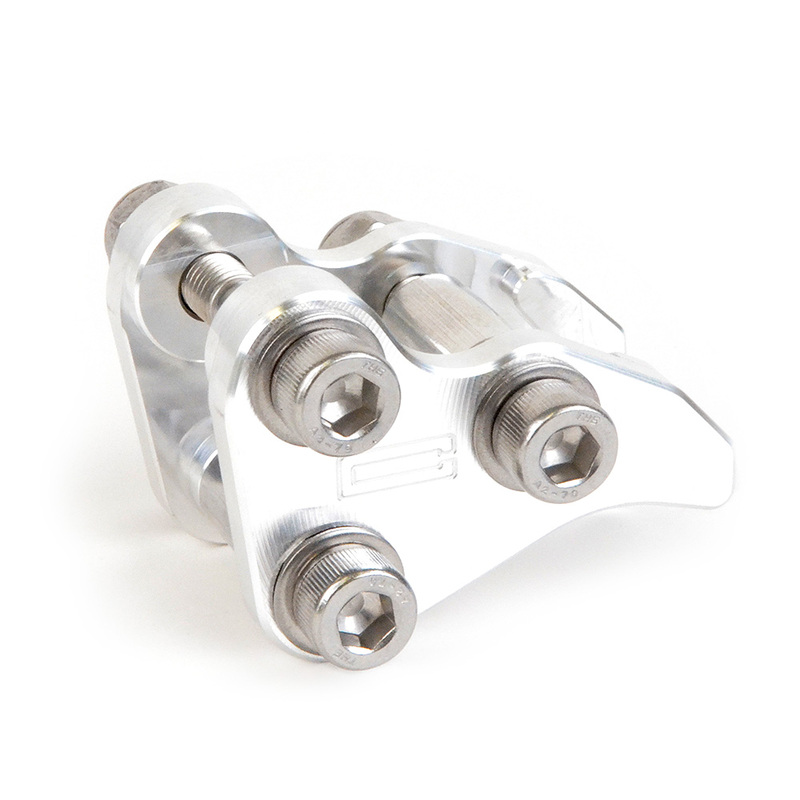 Please verify that you have at least 3/4" of distance between the leading edge of the tire and the rear part of the swingarm cross-bar that the stock shock mount is welded. *PLEASE READ: If you are running a larger-than-stock tire, this item may not fit, depending on your axle adjustment. Please verify that you have at least 3/4" of distance between the leading edge of the tire and the rear part of the swingarm cross-bar that the stock shock mount is welded to. **IMPORTANT: Actual lowering height will vary... 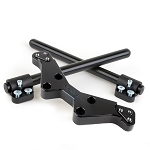 The added length of a stretch will cause the swingarm/axle-height in relation to the frame to move further than the stock length swingarm when lowered... with a stock swingarm length, it is closer to ~1.5" of lowering height... with the extended swingarm it is closer to 1.75-2.5" of lowering, depending on the length of stretch you choose, and where your chain tensioner adjustment is set on the stretch kit (top or bottom axle location, and mid-adjustment or fully adjusted in or out, since this will affect exact ride height).